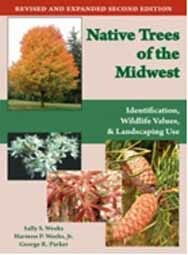 A great companion reference book to the Shrubs of Indiana CD, the book Native Trees of the Midwest is a definitive guide to identifying trees in Indiana and surrounding states. Descriptive text explains how to identify every species in any season, and color photographs show all important characteristics. Not only does the book allow the user to identify trees and learn of their ecological and distributional attributes, but it also presents an evaluation of each species relative to its potential ornamental value for those interested in landscaping. Since tree species have diverse values to wildlife, an evaluation of wildlife uses is presented with a degree of detail available nowhere else. The revised and expanded second edition contains a chapter on introduced species that have become naturalized and invasive throughout the region.